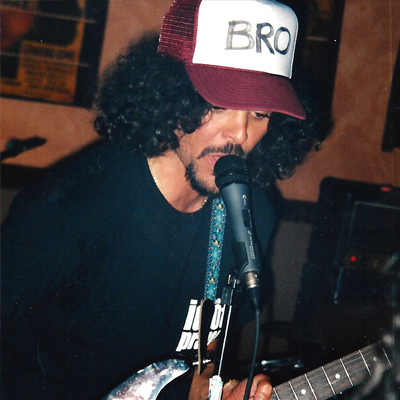 Brant Bjork – began playing drums at age 13 and was a founding member of Kyuss (first Katzenjammer, then Sons Of Kyuss) in ’87. He remained a pivotal member of the seminal desert stoner rock band until 1994. 1995 he played drums and co-founded De-Con, a desert punk band featuring Herb Lienau, Brian Maloney, and Billy Cordell and recorded Balls For Days. In ’96 he joined stoner-punk jam band Fu Manchu for four full length records. He’s released seven full length solo records with guest artists including, Alfredo Hernandez, Dave Dinsmore, Mario Lalli, Sean Wheeler, and Gary Arce, recorded two albums as Brant Bjork &amp; The Bros featuring Dylan Roche, Scott Cortez, Michel Feffer, Brandon Henderson, Billy Cordell, Giampaolo Farnedi, and in 2014 he released Black Flower Power. His current lineup includes former Void guitarist- Bubba, Dave Dinsmore, Ryan Güt.